Dimethicone, which is a silicone oil, is also known as polydimethylsiloxane (PDMS) and is used in a number of health and beauty products. Those who purchase skin care products with this ingredient sometimes don’t realize that this oil is also occasionally used as a food additive and may be found in several different industrial applications as well. Dimethicone is an emulsifier (which means it helps keep other ingredients from separating) and a moisturizer that makes it a highly effective additive to skin and hair care products. The chemical is also used as an emollient to make the surface of the skin more flexible and help the skin retain moisture. While the instance of side effects associated with the use of dimethicone is believed to be low, those who use products containing this ingredient should know that allergic reactions, such as redness, swelling, and irritation may occur. Dimethicone is often found in hair care products such as shampoo, conditioner, leave-in conditioner, and de-tangling products. The chemical acts as an emulsifier, keeping other ingredients better mixed, thus helping the product coat the hair strands more evenly. Once the hair is coated with products containing dimethicone, stubborn snags, knots, curls, and frizzy hair can be combed through more easily. This is especially useful for children who have problem hair and find it impossible to sit still for a combing. While the FDA has listed dimethicone as safe to use, individuals who are prone to having oily hair should restrict the use of products that contain this chemical because it may weigh down their hair or make it look overly greasy. Dimethicone is also used in a number of skin care products, such as those that moisturize the skin, treat dry flaky skin on face, and in those that care for mild skin irritations, such as eczema, diaper rashes, and other types of dermatitis. The dimethicone in these products coats the skin and not only adds moisture to the affected area but also helps to seal it in so that the skin can heal faster. In addition, this chemical may be used in a number of cream-based makeup products, such as foundation and the best undereye concealer, adding a moisturizing element and allowing the product to spread over the skin with more ease. Dimethicone has been used for years in skin and hair care products, and few problems have been reported. However, keep in mind that just because problems are not reported, it doesn’t mean they are nonexistent. Some skin care experts and physicians have asserted that dimethicone may interact with other types of chemicals that are found in skin and hair products, but test results are still inconclusive. However, it is possible to have sensitivity to dimethicone, and if you experience redness or swelling of the skin where products containing the ingredient have been applied, you should discontinue its use immediately. 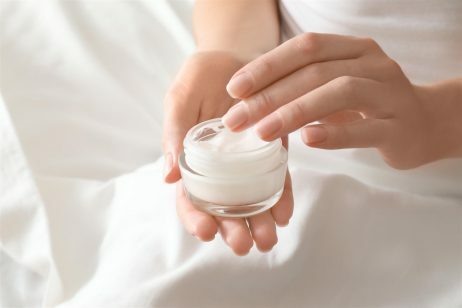 In some cases, those with extremely sensitive or thin skin have reported that creams containing dimethicone can make their skin feel drier than usual. 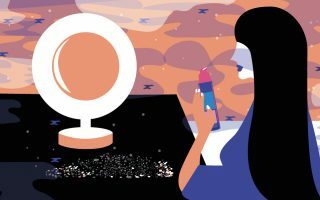 This a paradoxical effect, as the ingredient is supposed to moisturize the skin, but the intricacies in individual genetics and biology can play a big role in how your skin reacts to any skin care ingredient. If this severe dryness should occur, it is usually an indicator that you have a sensitivity or allergy to the chemical. To reduce the risk of sensitivity, limit the use of products that contain this ingredient and maybe even try a homemade wrinkle cream instead. Keep in mind, however, that some experts believe that this chemical may even interact with herbal topical medicines. If you have any concerns about dimethicone or its effects on the skin, you may want to consult your physician in addition to a dermatologist, as this chemical has been known to accumulate in the body with prolonged use. I’ve been having terrible breakouts and have been for patch testing …this came up as an irritant and my skin can burn and my face, scalp, neck, chest and back get itchy and large blistering welts come up that can take over a month to heal. Even the steroid cream I was given has it in, now I’ve stopped the prescribed creams there is a little improvement. Dimethicone is terrible stuff! It makes my skin break out even when I use it in a hair product. I once tried BB cream, and my face broke out in huge red welts. Tough to find products without it.